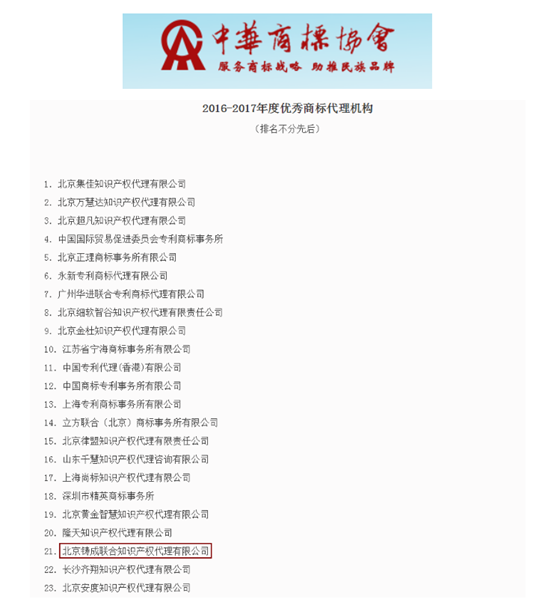 Recently, China Trademark Association published the list of winners who have been awarded the honor of “2016-2017 Excellent Trademark Agency”, and Chang Tsi & Partners as well as other famous agencies are included. The Association conducts the activity for appraising and electing the “annual excellent trademark agency” each year. 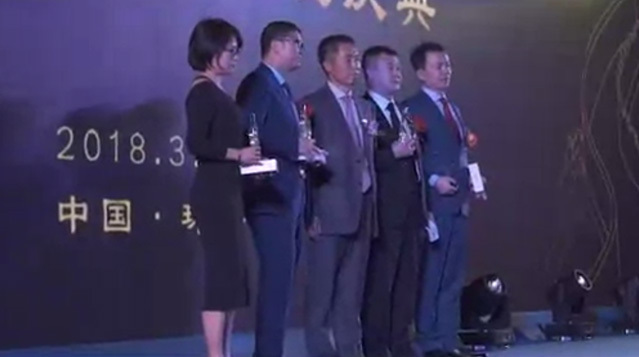 This is the sixth year for Chang Tsi & Partners to be awarded this honor, which not only reflects the outstanding performance of Chang Tsi & Partners in the trademark field but also highly appreciates the professional quality and first-class services continuously provided by Chang Tsi & Partners. The awarding ceremony will be held at the 2017 China International Trademark and Brand Festival in Guilin in this early September. This year is the 15th anniversary since the founding of Chang Tsi & Partners. As one of the best law firms in Beijing and one of the best intellectual property law firms in China, Chang Tsi & Partners provides professional and efficient legal services for domestic and international clients. Meanwhile, Chang Tsi & Partners, on legal bases, abides by the supremacy of the clients’ interests so as to maximize the clients’ legitimate rights, and diligently behold its service value and professional ethics. Chang Tsi & Partners maximizes the clients’ legitimate rights and interests by means of providing professional legal services.